8 St Thomas is premier freehold development located in the heart of Orchard by reputable developer, Bukit Sembawang. The 2 blocks of 35-storey consists of 250-units. It offers a range of 1, 2 and 3, 4-bedroom, 4-bedroom Dual Key units and 2 penthouses. These cosmopolitan homes are designed with modern urban living in mind with lifestyle balconies in most units. Every unit is fitted with Home Automation System with control to the lighting system in the Living/Dining Room and Master Bedroom and Aircon control to the Living/Dining Room. 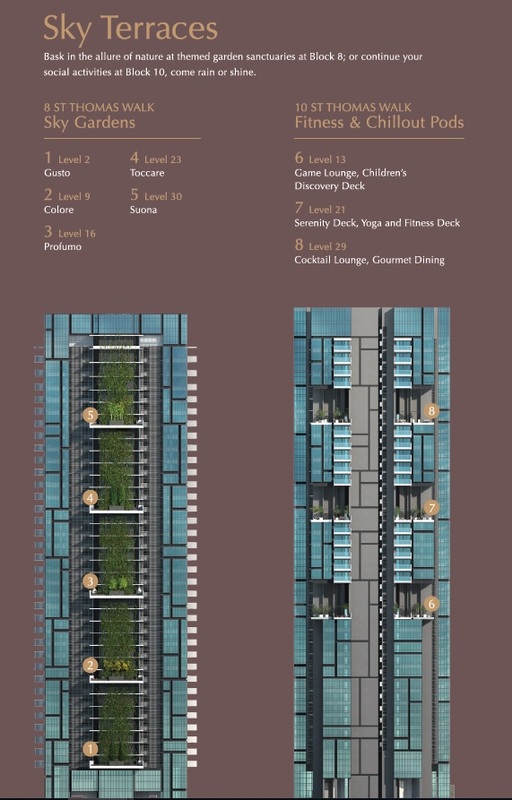 Selective units also enjoy unparalleled view of Orchard Road, Marina Skyline or the communal area. 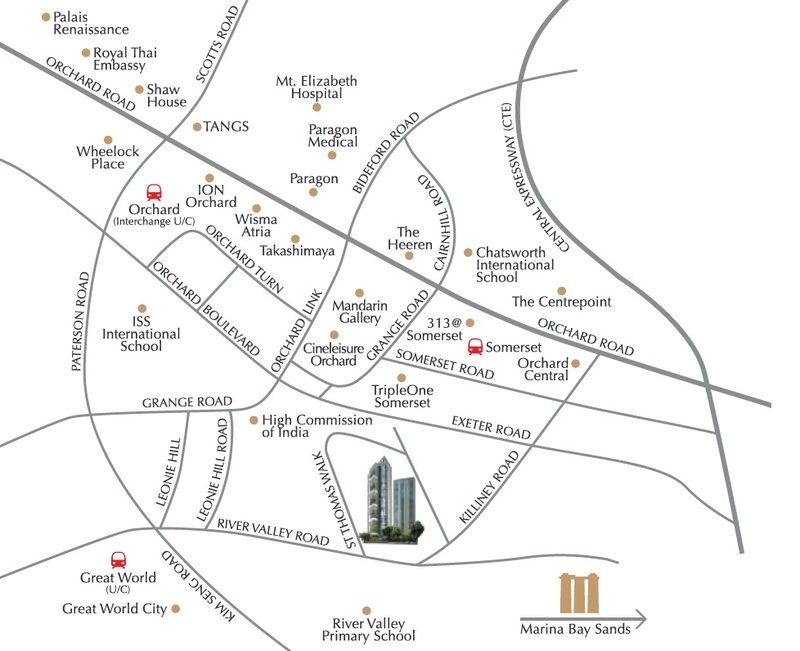 8 Saint Thomas (St Thomas Walk, off River Valley Road) is one of the preferred address in Singapore. St Thomas walk is an exclusive loop route that serve a selected residential enclave. The surrounding is tranquil and calming, exclusive to those who valued privacy. 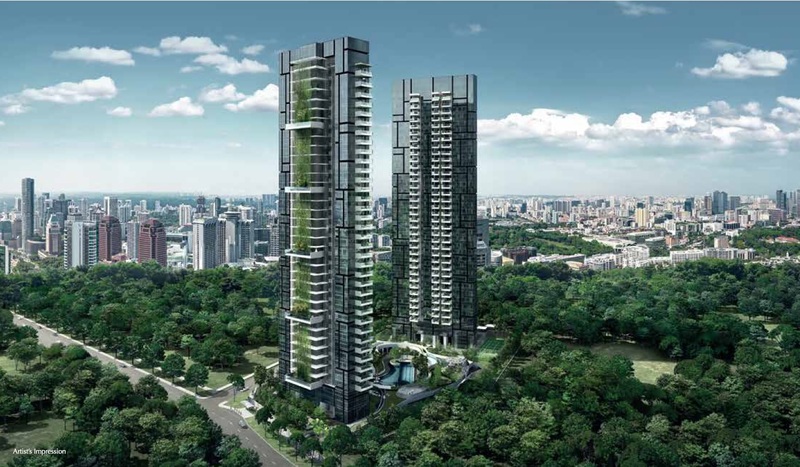 The development also connects to Somerset Road and Orchard Road, Singapore’s renowned shopping belt via Killiney Road, all within walking distance. It is a short walk to Somerset MRT, Orchard MRT and the upcoming Great World City MRT Station (expected completion in year 2021). Once you hit Orchard Road, you will be surrounded by major malls like 313 Somerset, Takashimaya, Paragon, Ion Orchard, Mandarin Gallery, Wisma Atria, The Centrepoint, and even premier medical facilities like Mount Elizabeth’s Hospital and Paragon Medical. It connects to major roads and CTE, with CBD, Marina Bay Financial Centre, Fort Canning park, American Club and The Tanglin Club all in short drive away. Enjoy the heritage neighbour and convenience of Killiney Road at doorstep, with eateries and a 24-hour Supermarket (NTUC Fairprice) or be spoilt for choice for wine and dine at the vibrant Emerald Hill, Robertson Quay and Clarke Quay or even the hipster neighbour, Tiong Bahru, for coffee. It is also close to local and international schools such as the prestigious River Valley Primary School (within 1 km), Anglo-Chinese School, Raffles Girls Secondary School, St. Margaret’s Primary School, Singapore Management University, Chatsworth International School and ISS International School. 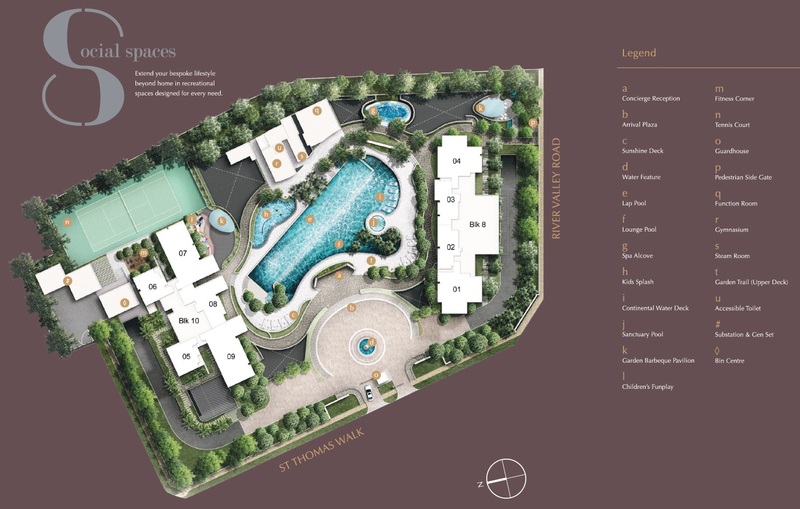 8 St Thomas is equipped with full condominium facilities including a tennis court, basement carpark, clubhouse, swimming pool, spa pool, function room, gym and steam room. Emphasis is given to ensure residents enjoy a vast communal area with lush landscaping. Pockets of sky terraces are introduced in the tower block to give residents shared facilities and interaction opportunity - children’s play, lounge areas, gourmet dining, serenity deck and fitness deck set against the backdrop of the glittering skyline. The entire development is linked under the extensive green roof whereby this green roof provides 2 planes of activity within and above it. It houses the spa pool, function room, gym and steam room while serving as a lushly landscaped private park above. And on the roof lawn, it feels like enjoying the greenery in the Olympic length lap pool whereby the green roof has transformed into cascading green walls.